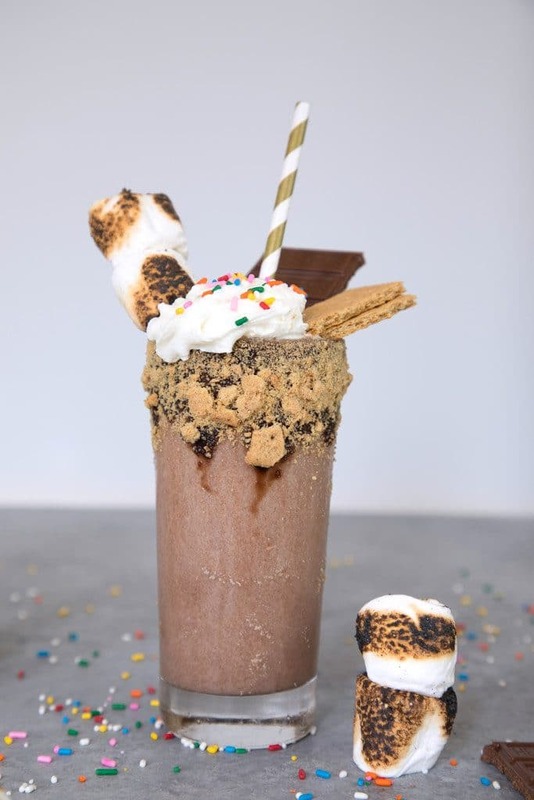 This Bourbon S’mores Milkshake combines all of your favorite components of s’mores along with chocolate ice cream and bourbon for the ultimate treat in a glass. I’m just settling in for the first episode of season 84024 of the Bachelor franchise. Yes, I continue to watch. Hate on me as much as you want, but I will not be stopped. It’s my simple Monday night pleasure and you’re not taking that away from me. Now, if I calculated how many hours I’ve spent on the Bachelor in my life (including Bachelor, Bachelorette, Bachelor in Paradise, Bachelor Pad… And um, the soon to be Bachelor Winter Games), I might have a straight up panic attack. But the thing is, when I watch any of those Bachelor variations, I’m not just sitting on my couch staring at beautiful people searching for true love and crying over missed opportunities. I’m getting other stuff done, whether that’s writing and photo editing, work, or at the very least, puppy snuggles. That’s partly why I love the show so much… I can multi-task and still keep track of what’s going on. Plus, I’m so deep in now, there’s no way I can stop. If you’re a long-time Bachelor fan, you totally need to read this BuzzFeed article in which the two authors re-watch the first season of The Bachelor. You know, back in 2002. Those were simpler times in which the ladies seem to be obsessed with turtleneck sweaters. Which they also wore with “slacks” to the rose ceremonies (!!!). The season was only seven hours long… Now seasons are approximately 840343 hours long. And lastly, there was no Neil Lane. No matter where you stand on the Bachelor issue, you’re probably ready to kill me for my nonstop chatter. 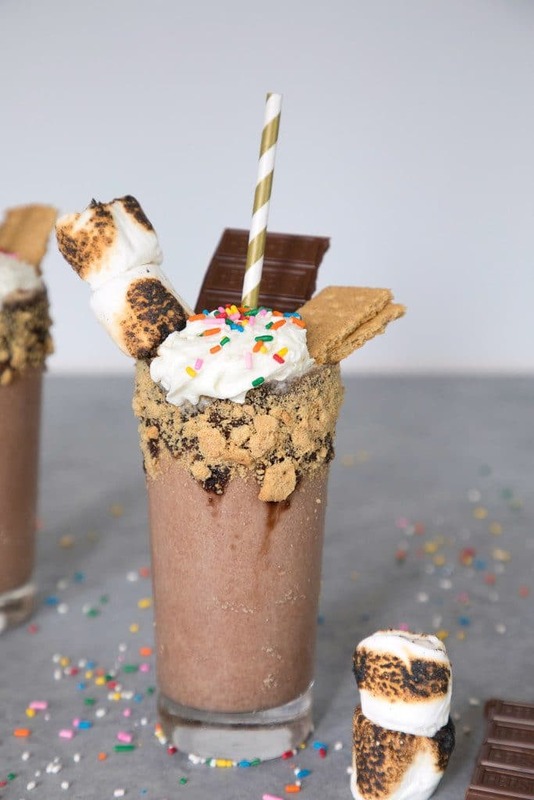 Which means you totally need this s’mores milkshake. It’s not just any s’mores milkshake… It’s a Bourbon S’mores Milkshake. Sooo, now do you forgive me for my Bachelor babble? Like most milkshakes, it’s incredibly simple to make. 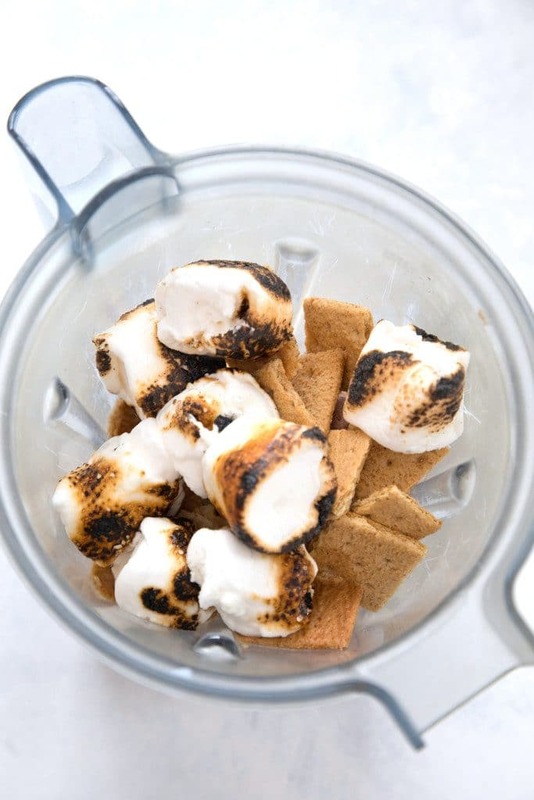 Other than toasting the marshmallows and creating an epically sweet garnish, you just toss everything in your blender. Easy! 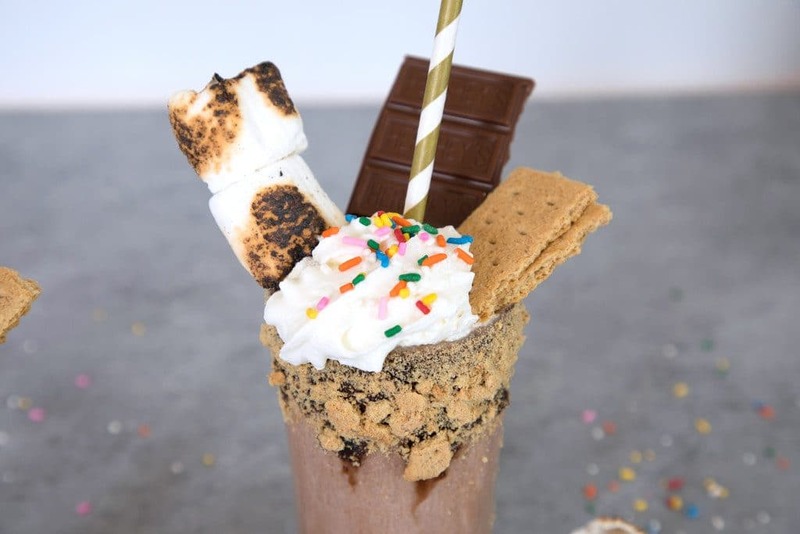 Obviously the garnish is the most important thing on this s’mores milkshake. And it’s pretty imperative that you toast the marshmallows. But don’t worry if you’re not at a campfire or it’s cold and rainy (again! please stop it with this weather, Mother Nature). I legit toasted my marshmallows over my gas stove. I’m not super into camping, so standing in my kitchen over my stove was actually more my speed. Plus… rain. But seriously, that means you can make this milkshake at any time of year; winter, spring, summer or fall… (sorry, I just finished Lauren Graham’s book (affiliate link) and now I desperately want to watch Gilmore Girls). If you’re not into the whole bourbon milkshake thing, you can obviously leave the bourbon out. But it won’t really be the same. And it might not give you the kick you need to get through another 2-hour episode of the Bachelor. Not that I’m condoning drinking in order to get through life challenges. Ahem, vodka could also work in here. You can also feel free to make it with vanilla ice cream instead of chocolate ice cream, so long as you drizzle a little chocolate syrup in. Don’t let me down. 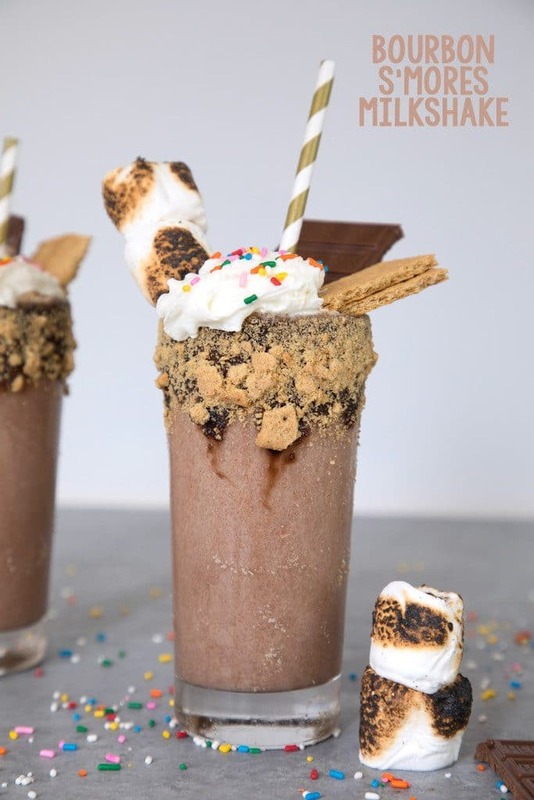 Yes, I know these s’mores milkshakes aren’t exactly going to land in the healthy food category, but it’s Monday and you need to treat yourself. If you need me, I’ll be sitting on my couch, sipping on one of these while cuddling with my dog and watching the Bachelorette. I’m also continuing to plan that ultimate campfire and s’mores bars with 14 different colored marshmallows. Just don’t judge me if that campfire happens to be in front of my stove instead of in the great outdoors. Do you enjoy alcoholic milkshakes? 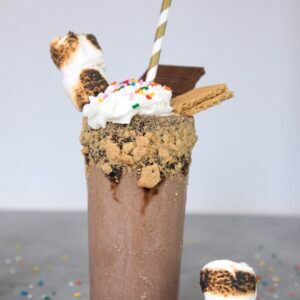 This Bourbon S'mores Milkshake combines all of your favorite components of s'mores along with chocolate ice cream and bourbon for the ultimate treat in a glass. Using a pastry brush, brush the rims of two glasses with chocolate syrup. Crush 2 sheets of graham crackers and place them on a small plate. Roll glasses in graham cracker crumbs. Place chocolate ice cream, milk, bourbon, 4 sheets of graham crackers, and ten marshmallows in a blender and blend on high speed until combined. Divide milkshake between two glasses. Top with whipped cream and rainbow sprinkles. Put marshmallows on skewers as garnish and add a sheet of graham crackers into each milkshake. 21 Responses to "Bourbon S’mores Milkshake"
Yes to the milkshake but no to The Bachelor. I’ve not watched one episode ever. SOUNDS AMAZING! did you love lauren graham’s book?? i listened to the audiobook on a road trip…best thing ever! so funny! Oh my god, this sounds delicious! Chocolate-peanut butter ice cream would probably be good, too. I’m now obsessed with making S’mores with peanut butter cups! What? I didn’t realize The Bachelor has been on since 2002! Where the heck does time go? I’m going to focus on these insane-looking shakes instead of thinking about the last 15 years of my life :). Hope your Tuesday is going well! I used to watch the Bachelor/Bachelorette ALL the time until Juan Pablo became the bachelor. Then I stopped because I couldn’t stand him haha. I would totally watch it though with this shake. Love the bourbon and smores combo! What a nice dessert…and yes, Bourbon sounds delicious in this. OMG, I bet I gained a few calories only by looking at it haha! The best things in life contain chocolate or cocoa! 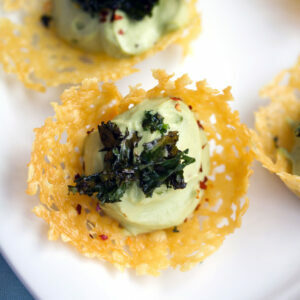 Wow, these look amazing, Sues! I need this this week- with extra Bourbon if you don’t mind! LOL! Haha! I haven’t watched the Bachelor in so long! Slacks in the first season? What? That’s so funny considering now they wear all these elaborate, fancy dresses. I meant to watch this season, but it just got past me. I heard there were some funny characters on there from watching Jimmy Kimmel. Ok, this milkshake? What? Bourbon, chocolate, marshmallows? Oh my goodness! This looks DELISH! And I love the over-the-top garnish – gotta have that 😉 Cheers to an awesome weekend, Sues! @Sarah K- YES, I loved her book!! I wasn’t even a huge Gilmore Girls fanatic, but I actually enjoyed all of those details. She’s great! I only have eyes for this shake! I don’t care what you put on the TV LOL – kidding! This seems like the perfect companion to guilty pleasure tv! Omg! This looks amazing! I’m a huge fan of s’mores, I know exactly what I’m making this weekend! This is what I call the perfect treat! Tasty milkshake! These look SO delicious and decadent! How was the Lauren Graham book? look very yummy. i will try in next few days. thanks for sharing such a yummy milkshake..